Interactive web report – detail page - Fast Reports Inc.
Interactive reports allow the user to interact with the report through hyperlinks. Through hyperlinks, you can run other reports, or to move to other pages of the report or go to your bookmarks. 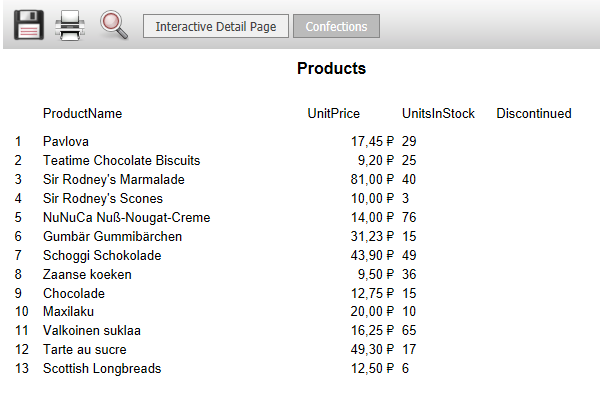 In the article "Interactive Web reports in MVC project," we looked at how to create an interactive report with a detail report. In essence, we have created two reports. One refers to another one. But everything can be done easier. 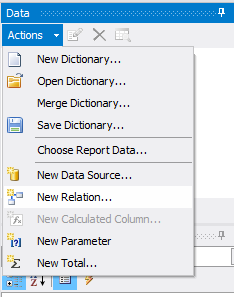 You do not have to create a separate report for detail. 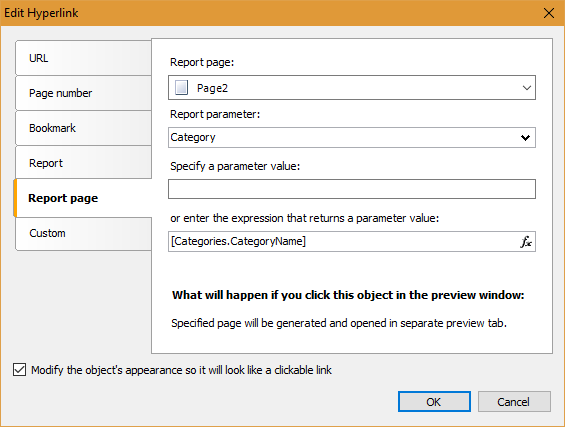 You can make a detailed report on a separate page in the main report. Let's look at how to do it. 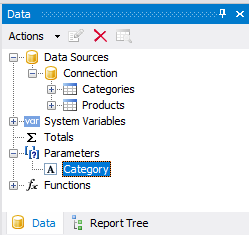 Create a report. 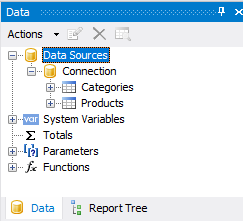 As a data source I have used xml database of FastReport.Net delivery. 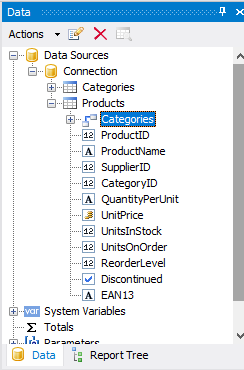 Table Categories and Products. As you can see, we have placed two fields: Category Name and Picture. 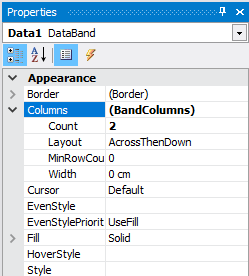 Property Columns-> Count is set to 2 in the data band. 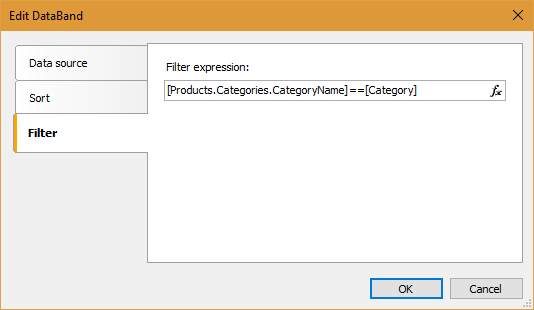 We used the CategoryName field from the Categories table connected to the filter expression. At the bottom of the form enables the option "Modify the object’s appearance so it will look like a clickable link." The report is ready. Save it and go to the second stage. The second stage of work I have identified the creation of a demo web application. 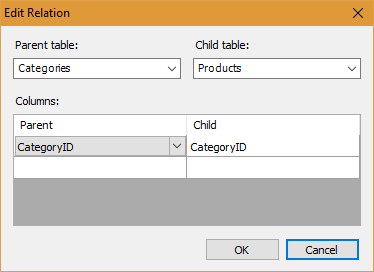 Create an MVC project. Add a link to the library and FastReport.dll FastReport.Web.dll. The report will be placed on the home page of the site - Home. Therefore, the logic the report is placed in the controller HomeController. WebReport webReport = new WebReport(); //create the inctance of WebReport object. Now we need to show our report in view Index.cshtml (Views-> Home folder). In the last line, the controller transmits a report submitted to display. Add the namespace in web.config file, which is located in the Views folder. 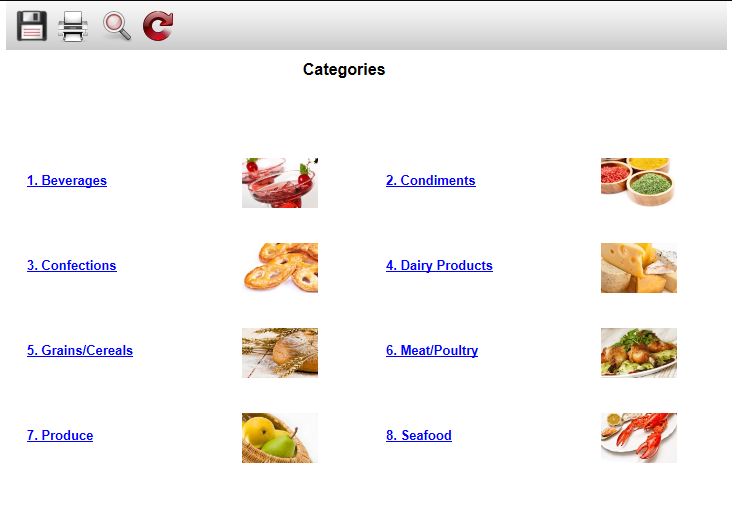 Click on the category Confections. So we created an interactive report, without resorting to the creation of a separate file for detailed information. Отличные инструкции, спасибо! Вопрос. А ели необходимо передать 2 и более параметра для детального отчета, как быть? Например у меня отчет матрица, в которой столбец Месяц, строка Аналитика. Мне нужно передать для детализации следовательно мне нужно передать эти два значения, чтобы отобразить в детализации.